This word is widely used within Livery Companies, but what does it mean? 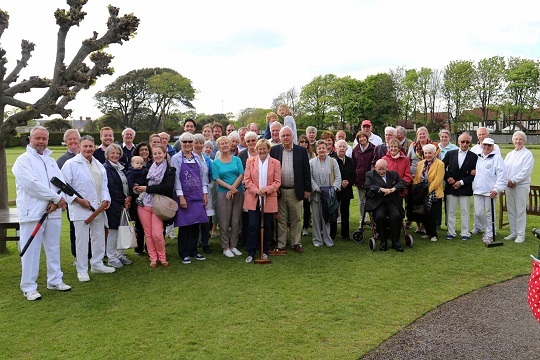 It encompasses a number of things but includes the camaraderie, friendship, community and feeling of belonging that accompanies the meeting of a broad range of like-minded individuals, gathered together in convivial surroundings. Our motto, after all, is “Let us love one another”. From Saxon times, London had an independent nature as it did not form part of any King’s possession and its various Royal Charters merely confirmed existing privileges, rather than granting them. The governance of the City rests with the Lord Mayor, the Sheriffs, the Court of Aldermen and the Court of Common Council and the fact that this is a unique form of local government within the UK today illustrates that the City’s independence continues. The City Corporation not only acts as the local authority for the Square Mile but also promotes the City as the world leader in international finance and business services; it provides valued services such as the Barbican Centre, the Guildhall Library & Art Gallery, the London Metropolitan Archives, Guildhall School of Music & Drama, operates Billingsgate, Smithfield and Spitalfields markets, runs the Central Criminal Court (the Old Bailey), maintains five bridges over the Thames and around 11,000 acres of open space including Hampstead Heath and Epping Forest. It is the duty of members of Livery Companies to elect the Lord Mayor and Sheriffs at Common Hall and we actively encourage members to vote in these elections and enjoy the accompanying ceremonial. Members of the Livery are eligible to stand for election to these high offices and thus membership is essential for those wishing to play a full part in the governance of the City of London. In accordance with long established Livery tradition dating back to the Trained Bands of 1572, the Basketmakers support the three armed services with affiliations to HMS Richmond, a Type 23 Frigate; 8 Rifles; V (Army Cooperation) Squadron, Royal Air Force; and 2 Company, City of London & North East Sector Army Cadet Force. Like many Livery Companies, the Basketmakers lost our role as active enforcers of trading standards by late Georgian times. Unlike some Companies which have lost their trade connection altogether or have adopted a modern alternative, we maintain a strong link with our origins by our support for basketry through prizes and awards; holding exhibitions; arranging tuition for members and their friends as well as in London schools; promoting our Yeomen Members who are all working basketmakers and through our support for the Basketmakers’ Association. Basketry is relevant to modern life and found in many forms, ranging from hanging baskets of flowers, via the increasingly popular basketwork eco-friendly coffins, to baskets used for hot-air ballooning. 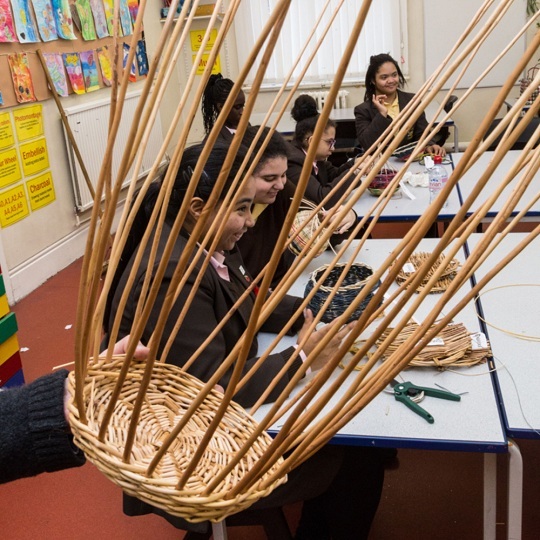 Contemporary or traditional designs of basketwork, chairseating and even sculpture have boosted interest in the craft, as has a desire to avoid the litter and pollution caused by throw-away plastic bags. In common with other Companies, the Basketmakers have always supported the needy or poor. The oldest surviving record of a charitable donation by the Company dates to 1527, before our formal incorporation, and there is a continuous vein of philanthropy throughout our history. We aim to support social and welfare type charities such as those helping with rehabilitation, assistance to the homeless, and care for the elderly, mainly in the poorer areas of London. Rather than a large number of small donations, we look to give a more meaningful amount to each recipient and we aim to build a relationship with recipient organisations. As one of the main motivations of joining a Livery Company is philanthropy, the desire to give something back, there is a strong expectation (though for tax reasons there is no compulsion) that all members make regular donations to The Worshipful Company of Basketmakers’ 2011 Charitable Trust. 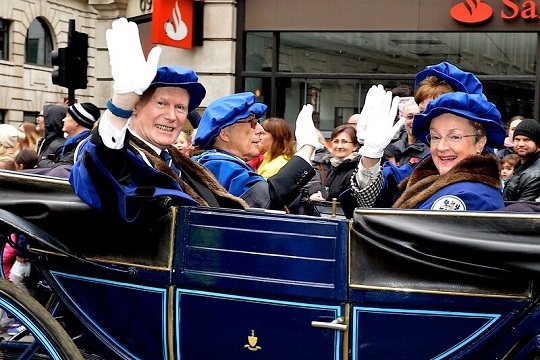 Charitable activities are one of the main reasons for the existence of the 108 Livery Companies which collectively donated £41.85 million in 2010 so it is considered unusual to join if you do not wish to support this activity.